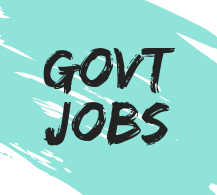 In this page of latest govt jobs we will share the updates of CSPDCL Recruitment 2018 with full specifications. There is good news for the candidates who are willing to get a job in Chhattisgarh State Power Distribution Company Limited. From the official website of the company we get a news of 125 new vacancy for the Engineering (B.E, B.Tech, AMIE), MBA, Diploma, M.Sc, MA, M.B.B.S, MCA pass candidates. Before going ahead we want to make some things clear, so that candidates can apply online. This is a government job without GATE. Other State candidates can also apply. Departmental candidates can also apply. AE (Civil) ⇢ B.E / B.Tech / B.Sc (Engg.) / AMIE from Civil Engineering. AO / AM (F&A) ⇢ CA. Welfare Officer ⇢ M.A / MSW. Programmer ⇢ B.E / B.Tech / B.Sc (Engg.) / AMIE from Computer Science Engineering (CSE) / Information Technology (IT) OR MCA. JE Civil ⇢ Diploma in Civil Engineering. Shift Chemist ⇢ M.Sc in chemistry.